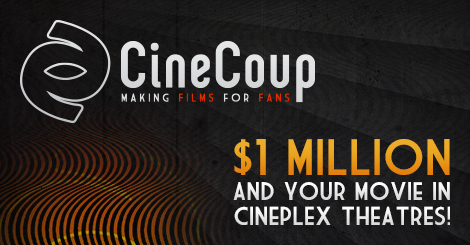 A co-venture between CineCoup and CBC, ComedyCoup adapted dimeRocker’s original Film Accelerator technology for television production. ComedyCoup allows comedy creators to develop, market and pitch half-hour television concepts. Teams apply with a teaser video for their concept then advance through a gamified selection funnel designed to develop their projects and build fan support on the CBC ComedyCoup social web platform. 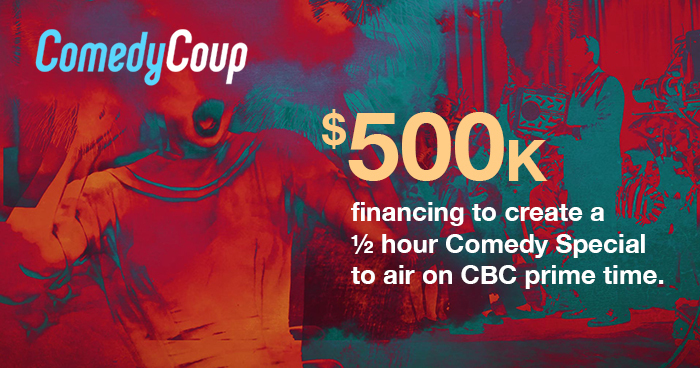 One project is selected for $500,000 in production financing and a thirty-minute slot during CBC’s Prime Time schedule for their comedy special. Five projects are optioned for development.